New location sticker spotted in WhatsApp! We already talked about stickers in an old post, precisely “WhatsApp to support Stickers like Instagram“. We also wrote at the end of the abovementioned article “Probably WhatsApp will add many other stickers later, for example a location Sticker“: our prediction will become really reality. The voice message recording is one of the most used WhatsApp feature of ever. Since WhatsApp has implemented it in their application, this feature has never been changed or improved.. until today. This is a very used feature, as mentioned before, but also big features can have issues in the usage. WhatsApp recently submitted new updates through the Google Play Beta Program for Android and on the AppStore for the iOS platform: analyzing them, we have discovered something very important about groups, that will be available for all platforms in future..
Today WhatsApp has released a new update on the AppStore, bringing the version number up to 2.17.80. WhatsApp beta for Android 2.17.409 and 411: what’s new? Recently, WhatsApp has submitted some new updates through the Google Play Beta Program: the versions we are talking about are 2.17.409 and 411. But what features WhatsApp added in these updates? 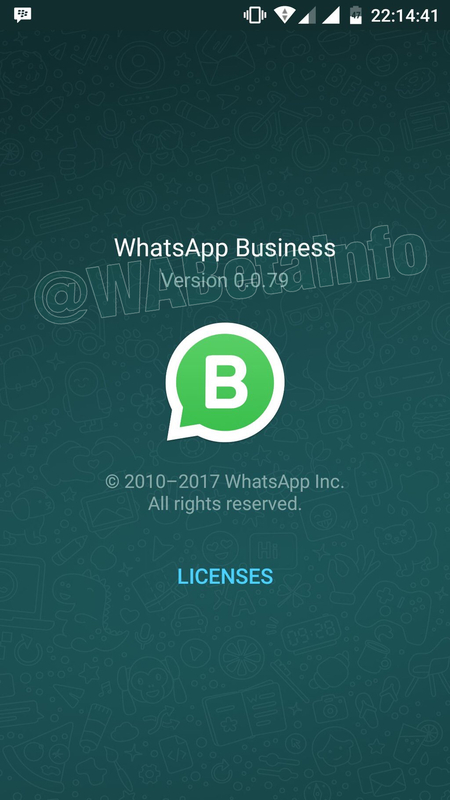 WhatsApp Business beta for Android 0.0.79: what’s new? WhatsApp submitted a new update through the Google Play Beta Program for WhatsApp Business, that’s available in some countries only: the version is 0.0.79. But what features WhatsApp added in this useful tool update for your business?